Just a heads up. 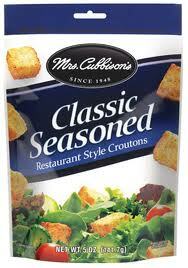 I got an email from Mrs. Cubbison’s saying they’re giving away free salad toppings next week on their facebook. The giveaway will start Monday at 3pm (eastern time) / noon (pacific time) / 2pm (central time) on the “Enter To Win” tab.